It is still always a thrill when I get an order for a piece of my jewellery. I never get over the fact that there are people who actually want something that I've created. This is probably the best feeling for me as a jewellery designer. A lot of love and effort goes into creating each piece and most of the time it's sent off to it's new home, and I'm left wondering who is the person that has bought my jewellery and what is the reason... a birthday present or just a gift to ones self!? Most of the time I just have to create a story for the piece, but thanks to social media, I sometimes discover who wants to wear my jewellery and why they've ordered. Daniela shared the most beautiful photos with a sophisticated simplicity that I just love. She chose the large Braque hoops, which are still my favourite piece of the de Vence Collection. It is always so great to see people wearing my jewellery, so if you order a piece, don't forget to share with me so I can see the person behind the order... it makes my day. I recently released my first men's 'Cabanon' collection and I thought I would use this blog post to give you a little insight into my inspirations. My jewellery is heavily inspired by modern architecture and Le Corbusier is not only one the the most influential and iconic architects of the 20th Century, but a pioneer of the Modernist movement. His work is widely respected and world renowned. Along a lush, tree lined, path, encroached by trailing nasturtiums, lies a 3.6 x 3.6m cabin that overlooks the glittering Mediterranean sea. 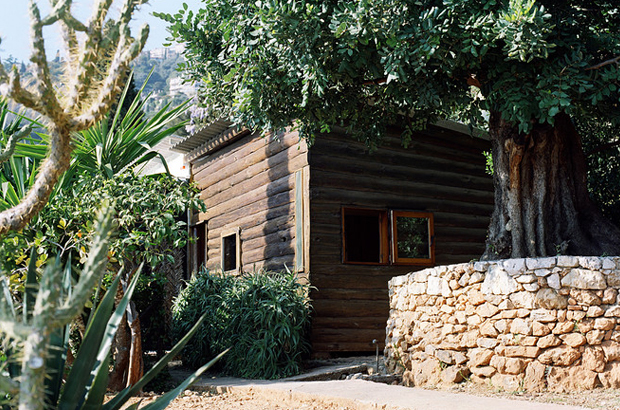 'Le Cabanon' is hidden amongst the foliage and the rocky coast of Roquebrune-Cap-Martin. Built in 1951, this tiny holiday home was designed to escape a busy city life. It's specific size follows Le Corbusier's modular principles and are calculated using anthropometric proportions, which were of high importance when designing. This log cabin exterior differs from his signature stark, minimal previous projects. Interestingly, this is the only space the architect created for himself. 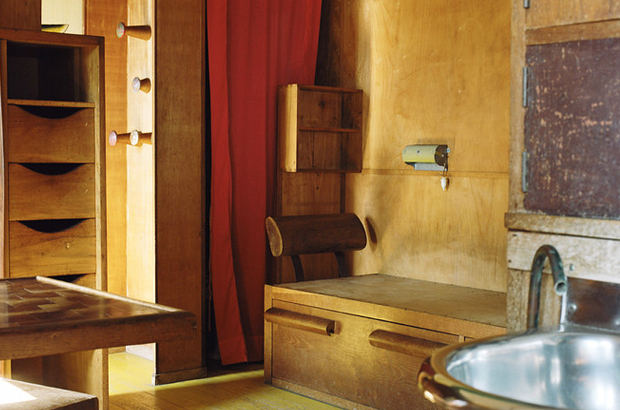 For 18 years Le Corbusier, born as Charles-Édouard Jeanneret visited the space each August to work, sketch, create and relax. A few years ago I visited Roquebrune-Cap-Martin and saw Le Cabanon. 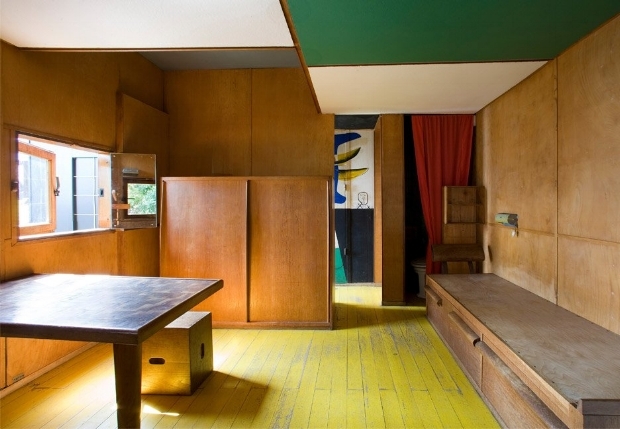 Unfortunately I didn't get to see the inside but I'm itching to return to the Cap Moderne again and book a tour, see the interior and stay in the apartments nearby that Le Corbusier designed in exchange for the land that Le Cabanon sits on. The Cap Moderne is quite a fitting name for this area as Le Corbusier's neighbour is the equally iconic Eillen Gray and the Villa E.1027. Returning to these places are definitely on the travel 'to-do' list. The names of each item in the Cabanon collection are a french translation of simple elements that feature in Le Corbusier's Cabanon. Côté meaning side, courbe as a curve and couper, to cut. Shop the collection here. All of the beautiful images used in this post were taken by French photographer Estelle Hanania. INSPIRATIONS, TRAVEL AND KIRSTIE MACLAREN JEWELLERY PRESS.